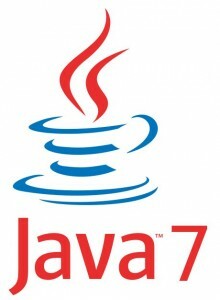 You can have both Java7 and Java8 living in your Windows box and use one of them each time you are required to. Go to C:\ProgramData\Oracle\Java\javapath and rename (you can also remove) the java*.exe files to some other names different than the original ones. Ensure that you path variable in your environment variables doesn't contain the C:\ProgramData\Oracle\Java\javapath path. Set JAVA_HOME to your own path. Repeat steps 3 and 4 to create a "Java8_CMD.bat" file for Java8. Don't forget to set the properly paths and title. From now you just want to run the properly .bat file to get a command line window compatible with the java version you need.